I am very proud of all my friends. They all are successful professionals, and fantastic human beings. On this post, I would like to brag about a very especial Latina friend and her team. Her name is Cynarah Ellawala. Cynarah is the founder and publisher of Moda& Estilo, an online magazine focused on global lifestyle and emerging fashion. 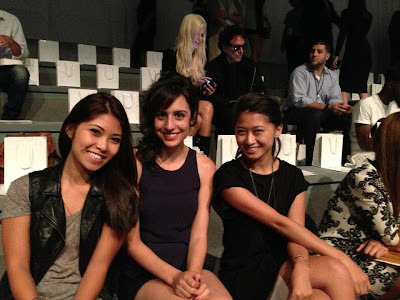 Last week, she led a team of fashion experts to Mercedes Benz New York Fashion Week. Cynarah and the talented Moda & Estilo team, including five writers and three photographers, covered it in a big, big way; literally bringing it live to our desktops. Moda & Estilo published runway reviews, with amazing photography, multiple times per day and almost on the hour on M&E From the Runway. Establishing a fashion publishing footprint in Seattle and the Big Apple is a task for the brave. So how does Cynarah, a Dominican Republic-born, Bellevue resident, balance a growing company, a happy home and the demands of the largest and most important fashion event of the year? With style and grace, plus a talented team of Northwest fashion experts, of course. 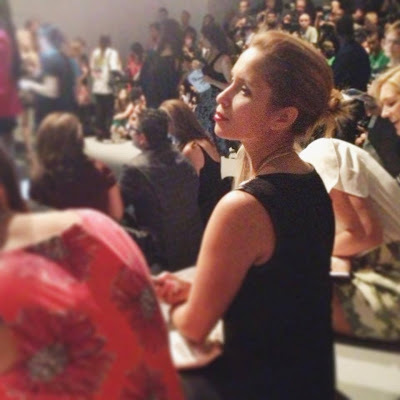 “New York Fashion Week sounds glamorous, and it is, but it is also a lot of work. We are working 18 hour days and I always come back without a voice. It’s hard on my daughter that I am away for so long, luckily I have a very supportive family and my Mom and Aunt help out while I am away,” says Cynarah Ellawalla, Publisher of Moda & Estilo. 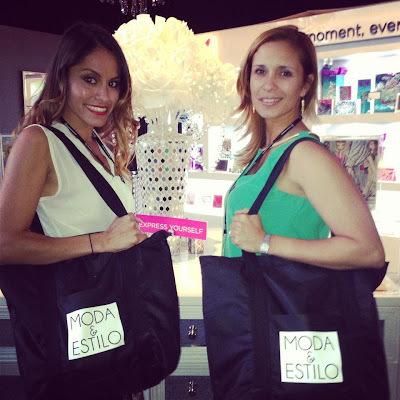 This is the second time at Fashion Week for Moda & Estilo – a huge accomplishment given the fact that the publication is just one year old and press passes/credentials are both coveted and hard to achieve. Great job Moda & Estilo team! We are very proud of all of you!